Nothing brings a story to life quite like a Broadway show. It's wonderful to visit those that are new, and fun to revisit those that relate to something special you know. It's downright exciting to attend a classic that you know and love. Such is the case for me with the latter, when it comes to seeing, "The Phantom of the Opera." I could not be more excited to announce that, "The Phantom of the Opera" will be performing at Wharton Center in East Lansing, MI, with multiple shows running from April 4-12. 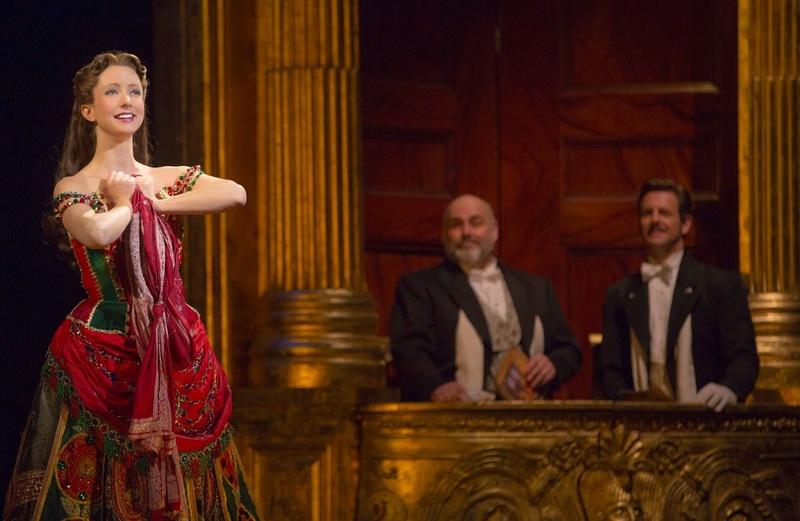 Following an acclaimed sold-out tour of the United Kingdom, Cameron Mackintosh’s spectacular new production of Andrew Lloyd Webber’s phenomenal musical success, THE PHANTOM OF THE OPERA, is now on tour across North America. Critics are raving that this breathtaking production is “bigger and better than ever before.” This PHANTOM features a brilliant new scenic design by Paul Brown, Tony® Award-winning original costume design by Maria Björnson, lighting design by Tony® Award-winner Paule Constable, new choreography by Scott Ambler, and a new staging by director Laurence Connor. The production, overseen by Matthew Bourne and Cameron Mackintosh, boasts many exciting special effects including the show’s legendary chandelier. 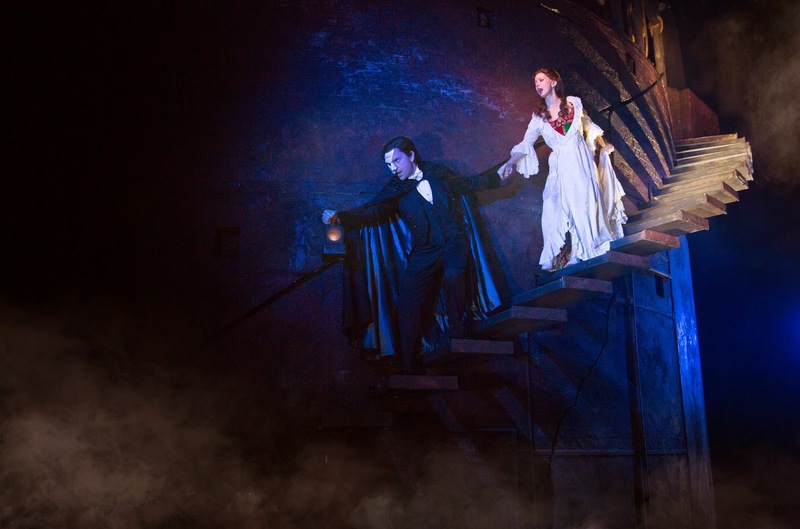 The beloved story and thrilling score - with songs like “Music of the Night,” “All I Ask Of You,” and “Masquerade” - is performed by a cast and orchestra of 52, making this PHANTOM one of the largest productions now on tour. Tickets are on sale now at Wharton Center. Be sure to follow along on Facebook and/or Twitter to see what other exciting shows are coming to the area. This is the one show I have never seen, but always wanted to. It sounds amazing. I too would love to see this too. I have not seen this show, but i hear it is amazing.. I saw this at Stratford theatre a number of years ago. It was phenomenal. I missed seeing this one on Broadway--never could quite afford the tickets. From what I heard it is one pf the best shows ever. For anyone who lives near this venue--run don't walk to get those tickets!! I've yet to see Phantom, but would truly love to! I would love to see this! I bet it would be amazing. I haven't seen the movie for this yet, but that's on my list to watch yet. I've seen the movie way back when, but never seen it live. Gosh, that would be such an amazing production to see. I hope it travels to my hometown. I'm with Robin. I have always wanted to see the live show of Phantom of the Opera! Wharton surely does get some good shows there! I would love to see this live. And Cats. And a few other things. Sigh. I would love to see Phantom of the Opera Live. That would be amazing. What an amazing looking show. The costumes are beautiful. This must be fun to watch. Reminds me of the show we watched in Disney World. I LOVE musicals but I have never seen Phantom of the Opera! When it comes near me I am buying tickets! I would love to take my kids to an opera for the experience. This sounds like a great show. Oh I want to see this. Looks Amazing. I love Phantom of the Opera! I saw it once and our theater has a really old chandelier in it- they actually spent the money to lower it during one of the scenes! I would love to see it again! That sounds so cool! I love it when you get a unique experience like that. It has been MANY years since I'v been to the Theater to see a show. I have yet to see a live performance of Phantom of the Opera but do hope to one day! Such a great production! I would love to see this live! I saw Phantom of the Opera in Boston several years ago. This show has been around for a while. It was excellent!! I have always wanted to see Phantom. I've never seen a show. Hoping to now that quite a few come to the city I now live. It would be amazing. I love this kind of musical Broadway shows. My wife, me and the kids watched one before and it was so awesome! We wanna do it again really soon! I love the music from Phantom, we played it in school but I've never been Would absolutely love to go! I absolutely adore the music from this musical! I'll have to check their tour schedule. It's amazing how many years this show has been around. I'm glad it is in your area and hope you get a chance to see it. I really like the music from Phantom, I have seen shorts but never really been to the live show. I am sure it would be a lovely experience. I completely wore out my Phantom cassette tapes in high school. I'd love to see it performed in person. I would really love to see a Phantom of Opera show. Maybe someday I can. One day I will love to see this show. Oh I would LOVE to see this show!!!! Beautiful photos! Phantom was my first Broadway show over 20 years ago! Love that it's coming to local theaters as well. I totally want to see this live. It's my absolute favorite. Can't wait! I saw the Phantom of the Opera in Atlanta at the Fox Theater about 15 years ago. It was such a spectacular show to see live. The Phantom of the Opera is my favorite musical of all time. I've seen a touring production in San Francisco and I was fortunate enough to see it at the Majestic Theatre on Broadway. I have never seen this show live, but I know the music by heart, and I LOVE it. Would absolutely love to see this! I have seen this show on Broadway. Always liked it. Probably in my top three all time of Broadway shows. I would love to see Phatom of the Opera in person. I will have to see if it's coming to a theatre near me soon. I've never seen Phantom of the Opera but I LOVE the sound track. I wish I lived closer to the Wharton Center. Never seen Phantom of Opera but how nice if I could see them one day.. This is so cool! The Phantom of the Opera was one of my favorite shows on Broadway. Would love to see it again. I love love love Phantom of the Opera! I know someone who saw it on Broadway and they loved it! I have always wanted to see Phantom of the Opera performed live! I loved the movie. I've seen very few big name plays in the theatre, but POTO is one that I have seen. I enjoyed it very much. I have always wanted to see Phantom in person. I would like to attend this production if I lived in the area. I love the Phantom of the Opera. I've seen some plays on PBS, but I think seeing it in person would be SO much better. I LOVE Phantom of the Opera. I'm going to have to tell hubs about this. I'm so jealous because I so would have loved to see this. I've always wanted to see it when I lived in NYC. This would totally be something I could take my mom too and she would love it. I've never been to a good play but would love to go one day. 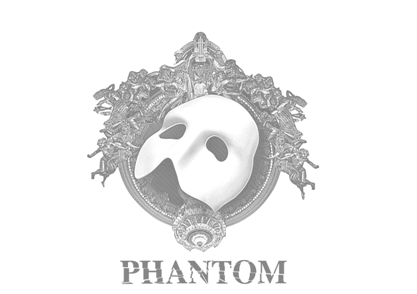 Phantom is one of my favorite Broadway Musicals of all time. Looks like it's going to be a great production. My stepmom would bring be to this cabaret theater when I was younger. I loved Phantom of the Opera. LOVE THIS! I was in theater and acting. I was in the Drama Club and classes growing up.. This is a great one. This is one of my favorite musicals. I can see it over and over again! I wish I could watch more musical shows like this! I love musicals, it's entertaining and relaxing! This is actually a play I have always wanted to see! This looks amazing I would love to see this musical! I have always wanted to see Phantom of the Opera live. This looks like a great production. I love Phantom of the Opera. I was able to see it live years ago and it was beautiful. I would love to see it again. It has been years since I've seen a play, and I'd definitely love to see this live since The Phantom of the Opera is one of my favorites! I have only seen the movie so far. I wish I had something close to me that I could go see plays like this. This was the best play ever! Something about the theater makes me so emotional that I always cry- whether it's happy or sad, doesn't matter, I'm a blubbering idiot. This looks amazing!! I'd love to go see it with hubby, onto finding a sitter! Neat! Another great performance for you to see. I had no idea...thanks for the heads-up! I love Phantom of the Opera! Phantom of the Opera is one of my favorite movies ever! I would love to see it live myself! I'd love to see Phantom of the Opera again. I hope they perform in our area as well. Phantom of the Opera is one of my most favorite musicals. I have probably seen it 5x already but I never tire of it! I have always wanted to see this show. Sounds amazing, Wharton Center sounds like they offer great entertainment! I can't believe I have never seen this show. Now I want to more than ever. I seen Phanton a long time ago when I was a little girl! Would love to see it again! I would love to go see Phantom of the Opera like this. It's such a treat to go to the theater. I have seen a few different theater performances and loved each and every experience. I am sure Phantom is amazing as well! I haven't seen Phantom on stage, only most of the movie. I would love to though. How exciting! I have always wanted to see Phantom live, but have never had the chance! I hope it makes it's way here! This is the one musical I will see over and over! It is a must see for anyone, a pure classic! Amazing how long that show has played in one place or another. I've never seen this musical. I've heard such great things about it to. Have fun! Phantom was my first and my favorite Broadway show. I always loved how they did the underground path beneath the opera house so I'm curious if they kept that staging in or changed it up. I have not seen the Phantom of the Opera before!! It sounds like a great show to see. I have never actually seen this on stage. It is something I have always wanted to do. Can't wait to hear your review. This is one of my favorite musicals of all time! I could watch again and again and never be bored! I have never seen a live performance of this before, but I absolutely love the music from this production. I actually sang one of the songs as a duet when I was in high school. I do love a good musical, if you're ever in London you need to visit the Theatres in West End if you haven't already! Wow this looks awesome! I've never seen Phantom but will be sure to do so now. I love musicals and this one looks to be amazing. Thanks for sharing this with us. I think I will have to start looking around for a showing. I've always wanted to see Phantom but never have. My girls are finally old enough also that they'll want to go also! That would be such a pleasant show to take my grand daughter too. Maybe if it comes back to Dallas I will. I really would love to see musicals. The hubs watched a show on Broadway once and he said it was great. Watching this would be amazing, without a doubt. I would loooooove to see Phantom again. I went in high school (a million moons ago) to see it at the Majestic Theater in NYC. I have not seen this before, but it looks like a great production. I have always wanted to go. This is such a classic. I've always wanted to see it in person. I would love to see the Phantom of the Opera in person. Phantom of the Opera has been one of my favorite productions of all time. I have had the fortune experience of being able to watch it live half a dozen time. I absolutely love it, each and every time I swear I get goosebumps throughout the show. I have always wanted to see this show, for real. It seems like it would be an experience..... that I wouldn't ever forget. glad you are sharing info! I have always wanted to see Phantom! It looks amazing! Phantom of the Opera is the first show I went to see with my daughter, after that we were addicted. I would love to see it again. This is one of my favorite all-time plays. It's a classic! Phantom of the Opera is a classic! I would love to watch it! This would be such an amazing show to see. I have always wanted to see Phantom of the Opera but have never had the chance. Thanks so much for sharing. I've never been to a Broadway show but always have wanted to. I would love to see this. Thanks for the ticket information. Thanks for sharing. This is very informative and I want to see it live. I got to see Phantom in London and it was amazing. I would love to see it again. I wasn't too far from Lansing a couple of months ago! The Phantom of the Opera is one of those productions I'd hear as a kid for being quite an experience. I would love to see it one day. i love phantom! my husband makes fun of me because i randomly will break into song and sometimes even phantom songs!! Not many people know this about me but I'm a HUGE opera fan. Phantom of the Opera is by far one of my all time favorite stories. I love phantom of the opera!! It's always such a great show! I love love opera! Thank you for this post and reminding me that I should visit again! This is going to be awesome. I know you all will enjoy this performance Have fun. We saw Phantom on Broadway!!! I bet this will be great! I want to see Phantom in Broadway. It is in my bucketlist. I would love to see this show, I have never been to a opera. Wharton center is suppose to be an incredible place to visit.